I joined the Windows 8.1 user experience team at the onset of the product cycle and was given two responsibilities. First, the limited settings in the PC Settings app were turning Windows 8 tablet users to the desktop environment, which was terribly frustrating to use with touch. I was asked to investigate all international settings—date, time, region, language and input—to design and build the essential ones into PC Settings. Second, airplane mode behaved differently from conventions, leading to a quirky experience. My job was to amend how radio management worked—airplane mode and all the wireless communication switches—so users could confidently use Wi-Fi in flights. Our challenge was both a design and engineering one. 25 years old, the Windows Control Panel had a vast legacy with tens, if not hundreds, of settings. How might we design, build and ship a quality settings experience—one that is both modern and relevant for tablet users—within a year? 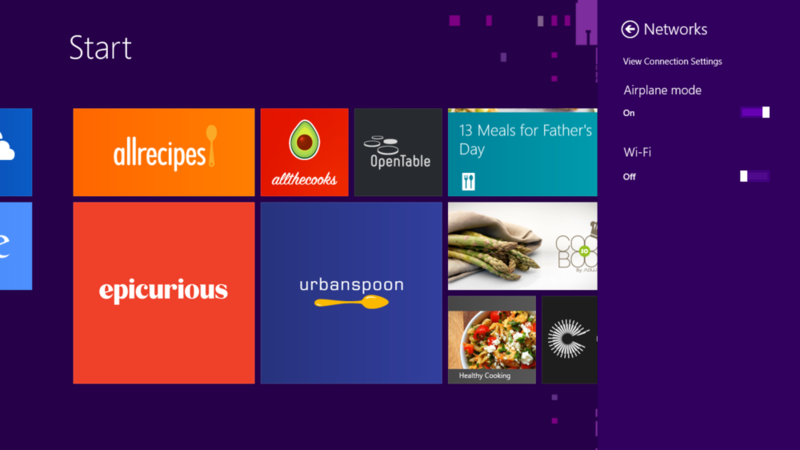 How might we bring the essence of the rich Control Panel to Windows tablets? Our work made Windows tablets truly global—enabling personalization based on lingual, typing and regional preferences. Users can change the language seen across Windows and apps UI. 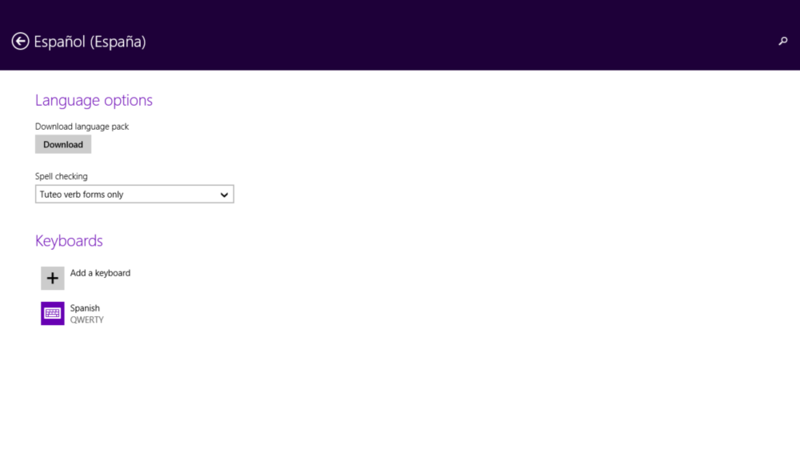 Languages that do not ship in-box can be downloaded and installed. To type in a different language, users can add a keyboard; change its layout, and adjust handwriting and spellchecking settings. East Asian users can add and change settings for Chinese, Japanese, and Korean IMEs, which enable typing in languages that have more characters than can fit on a keyboard. Other settings enable the surfacing of region-relevant apps in the Store, and adjusting the date and time on the device. The Verge gave Windows 8.1 a rating of 8.8. 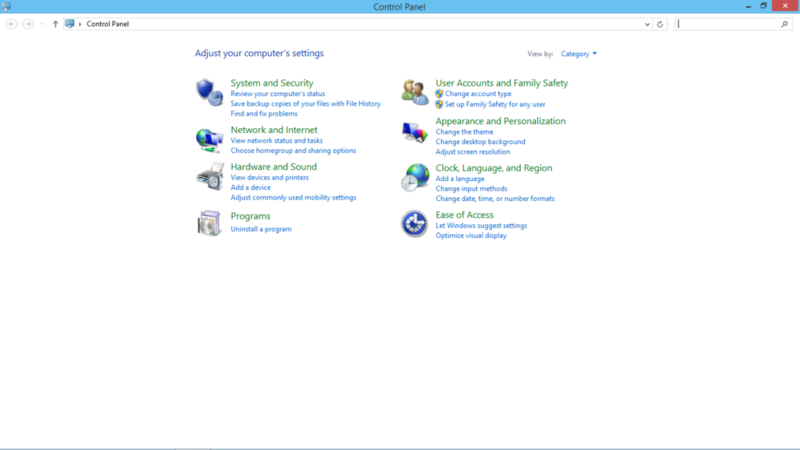 PC Settings brings the essence of Control Panel to Windows tablets in a clean user interface. Users can adjust date and time, opt in to daylight savings time, or choose to have their time set automatically. Those with advanced preferences can tweak date, time and calendar formats. The Region and language page gives an overview of languages in use and lets one change their region. Languages can be added for use on the device—whether to impact UI or supply a keyboard for typing. Regional variants, of languages such as German, are also supported. Each language offers multiple keyboard layouts and settings that are unique to it. ...and Spanish has additional language packs that can be downloaded. East-Asian languages, such as Korean, have sophisticated keyboards called Input method editors (IMEs). Each IME has its own settings that account for regional and cultural preferences. Building our product required relentless prioritization and making some critical calls. During development, a feature was turning out to be more expensive than anticipated. It served as a gatekeeper to other functionality in the platform and partner teams had an interest in seeing it built. But it directly competed for time with top priority features. Persisting with it undermined our ability to ship a quality product overall. What if we didn’t do it? I took a busy afternoon off to find out. Using Python, I hacked a script to consolidate usage data from multiple sources. Yes, we could definitely tolerate the risk of not doing it. The data made a compelling case to our team, management and partners. We agreed to shelve it. 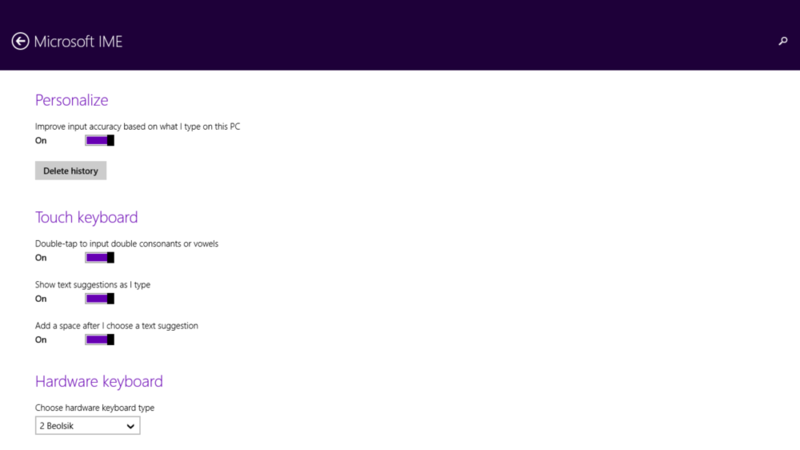 In Windows 8.1, we amended the quirks with the Airplane mode experience. Switching on Airplane mode turns off all wireless communication, as expected. However, users can now switch on Wi-Fi and connect to the inflight network—while remaining assured that all other wireless radios are off. Shipping a product of Windows’ magnitude takes blood, sweat and tears. I did whatever it took to keep our team productive and ultimately ship a quality product. When design resources were limited, I took the responsibility of user experience design—iterating through sketches and wireframes. Our dedicated team built a culture of inclusiveness where each member played a role in defining our product. I learned to appreciate the craftsmanship that makes a product feel premium, and the fact that there are always more things to do than there is time available. Pro tip: Always, always bring the donuts.